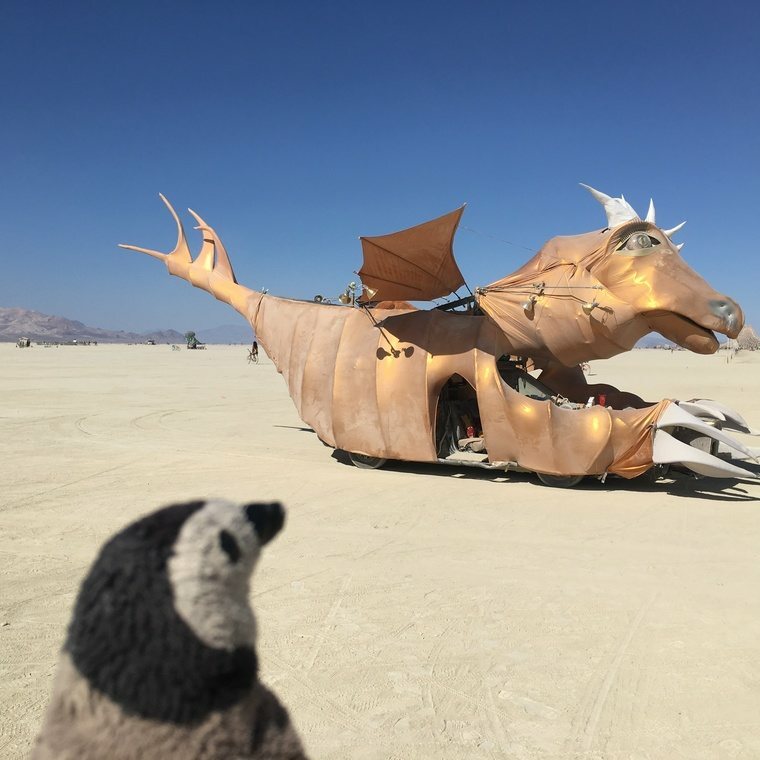 Travel with Penguin to places that burners (attendees of Burning Man) would be interested in. 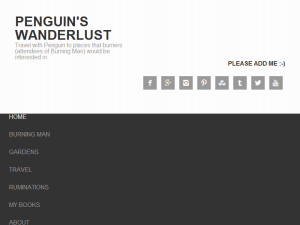 This what your Penguin's Wanderlust Blog Ad will look like to visitors! Of course you will want to use keywords and ad targeting to get the most out of your ad campaign! So purchase an ad space today before there all gone! My first thought when my brother was talking about selling his RV that it might be attractive to somebody wanting transportation to Burning Man. 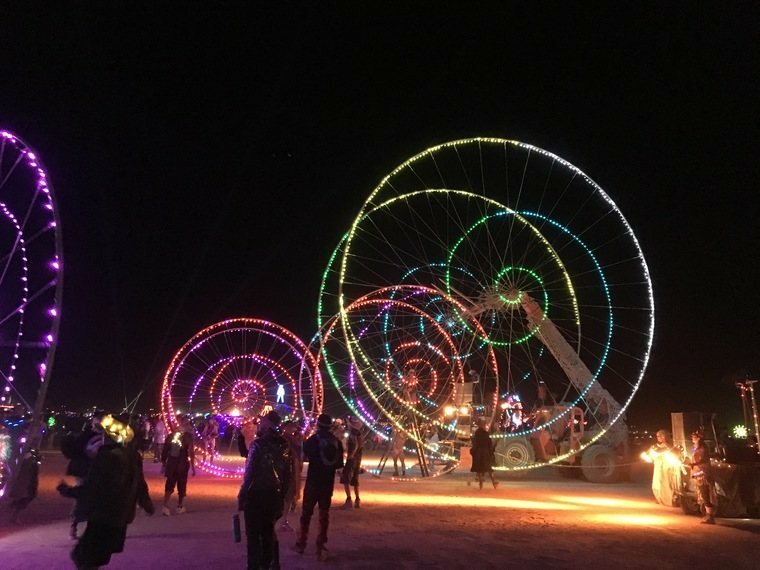 Many burners think that you can pick up a beater that will take you to the playa and give you somewhere comfortable to sleep. Some of these breakdown on the way or you see them on the side of the road afterwards. Being on a long trip with an unreliable vehicle can become a nightmare. After walking past the RV for a week, I decided that maybe I could have a look inside. I was impressed seeing such a well set up living space. I hadn’t ever been in one before. So I bought it, and drove it from Louisiana to Vancouver Island through Tornado Alley in tornado season. We didn’t really know how to use an RV but my brother had written a huge manual for us to learn. My brother felt it was best to go to a place specializing in trucks for anything to do with the actual running of the vehicle. He got it checked out for me before I took it north. 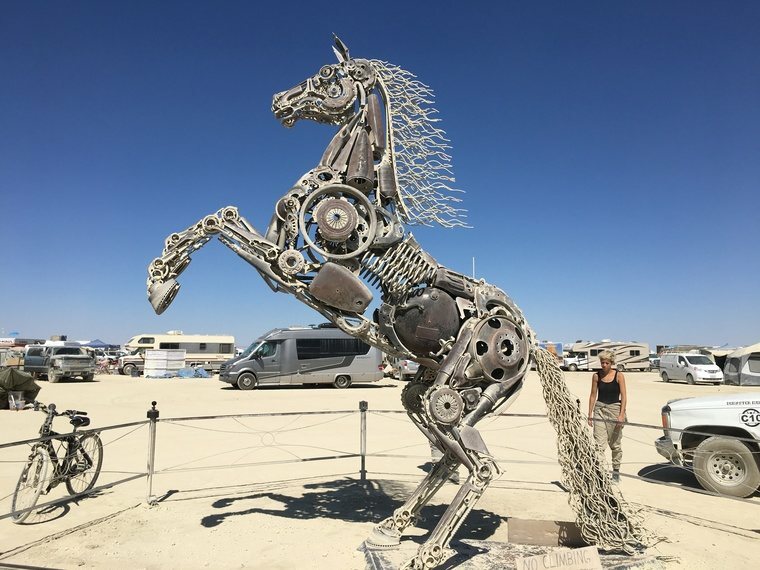 The next big road trip was going to be taking four of us to Burning Man in Nevada. We were ready to pack. I let my friend drive it as practice and we were on our way to pick up his ipod for music on the trip. The RV being from 1998 only had a cassette player. Anyway the RV died in the middle of the intersection at the bottom of my street. 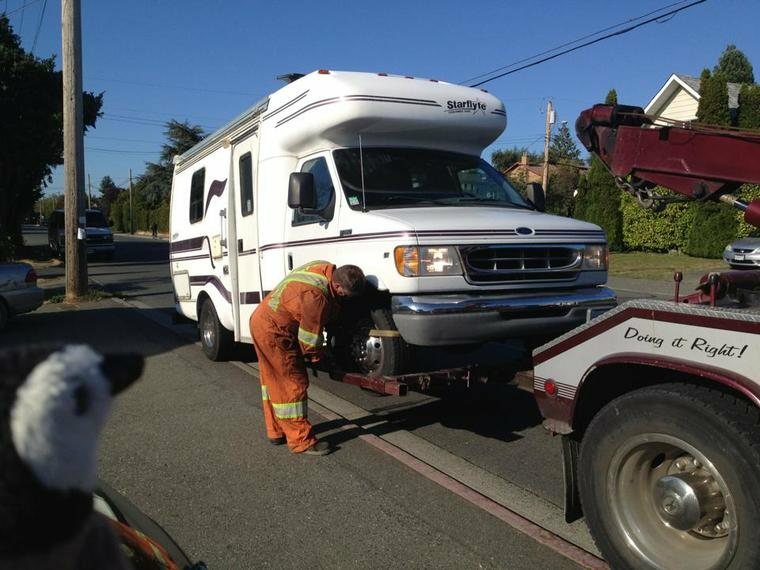 This was when I learned that there are very few tow trucks that can pull an RV. We had to wait almost an hour. He disconnected the drive train before towing it. It took three mechanics at two different shops and three months to get it running again. We were lucky it broke at home. It would have been a real pain if it had happened on the road. It turned out a clip had broken causing a wire to fall onto the hot engine and burn out a relay switch. Eventually they figured it out and sent me home with it. My friend who had driven me there followed me. She’d noticed that my brake light and turn signals weren’t working. So I had to turn around and drop it off to get those fixed. It’s a good thing she was behind me. I usually get work done on the RV just before a big trip. They’re usually all big trips. They said that they only fix the problem that’s on the order. I thought it should have been checked out but that’s not the way mechanics are paid. I knew that you’re supposed to gear down on mountains but when we did the coastal highway in California we neglected to do that. The result that leaving Pasadena heading to the Mojave Desert behind our friends, I discovered that my foot went all the way down to the carpet on the brake pedal. Luckily my passenger found a Ford dealership close by. They were just about to close but said their brake guy would be in early in the morning. So we slept on the road in front of it. The next day they replaced the brakes. A block later somebody told me my tire was on fire. So we pulled over. That’s when we discovered that the fire extinguisher didn’t have a pin and so was useless. Luckily the tire stopped smoking. We called the dealership to complain and they sent a tow truck to retrieve us. He didn’t disconnect the drive train like the first tow truck driver had but he drover very slowly so it wouldn’t get hurt. The sales guy told us that new brakes might smell a bit and that’s probably all it was. Well it wasn’t. The calipers had seized. They didn’t have any in stock but they got some sent over from somewhere else in Los Angeles. It’s an automatic but I’d found that it was becoming difficult to get it from park into drive. I got my daughter to practice driving it the barn because I needed the car for a trip. I was going to a gaming convention and needed to be able to easily park at a hotel and conference center. So I was leaving her the RV to get to riding. She’s shorter than me and had to sit on one of the couch pillows to see over the dash better. We went to drive home and she couldn’t get it into gear. The automobile association guy came with a flat bed truck. He said the dispatcher hadn’t said the call was for an RV. He wouldn’t have been able to tow or carry the RV. He managed to get it into start. He told us which way to push the gear shift (which is up by the steering wheel) so it worked. The next day I took it in to get the part replaced that was failing. There’s a part that needs to be replaced that they said I could put off for a little while. It’s expensive. I left the gas cap on top of the pump in California because I went inside to get something. Then I had to search for an auto supply place in the Oregon Outback. My passenger door lock became stuck. There’s a bar that goes through the door. I still have to get that fixed. Right now only the driver side door works out of the three doors. The cost of towing an RV far outweighs the cost of an automobile association membership. I’ve had them give me a boost too. If you sleep in a store parking lot late at night and don’t get out, you need to make sure you’ve turned off the headlights. I can’t remember if he got it boosted with the separate battery charger or with his truck. The one way wasn’t powerful enough. It’s not convenient to be in the middle of nowhere when you discover you don’t have one. I was told that on Fords not having the air suction on the gas cap can cause the engine to stop. The new cap doesn’t make the ratcheting sound when you tighten it. I could have gotten a locking type but I hate having to fiddle with things that would probably keep me out faster than anyone else. The old one wasn’t a locking type so I didn’t feel I needed one. This one probably comes as a surprise to you. It certainly was a major headached to me. When I first prepped the RV for the trip north, I had to remove six months of cans from the upper shelves along the wall. I recommend not having that much weight in those cupboards. My brother believed that the RV should be set up as an emergency flight vehicle. So he had half a year worth of canned food for survival. I questioned him about the two cans of lima beans. I absolutely hate lima beans. They used to come in cans of vegetable soup when I was a kid. As far as I know, no one in our family eats them. He thought they’d be good in case of an emergency. Way to make a bad situation worse. I’ve recently learned they’re also called butter beans which is good to know so that I don’t accidentally get some to plant in my vegetable garden. On my road trip to Los Angeles and Arkansas last spring, by the time I reached Arkansas it was obvious that the shelves were slipping. One corner of the ceiling was showing a disconnect. It was a worry since the heavy wooden shelves are over the bed including Rover’s little bed. It was expensive to fix. When they looked it was missing a rib and the cupboards were only attached to the wall. So they took down the cupboards on the back and side, peeled back the ceiling, fixed it up, and reattached the cupboards. And said not to put a ton of weight up there in the future. The reading lights no longer worked after the ceiling was reattached. They said they were faulty. They had worked well right up until the ceiling fix but I had to pay for brand new ones. I had the fresh water tank filled when I got the RV de-winterized last year. When I was in the lane packing, all the water spurted out. On the road I had it looked at. There was debris holding the drainage valve open. Also part of the pipe had to be replaced. In mine the water pipes are horizontal and badly placed. I learned that if every repair is a failure that it’s time to try a better shop. Top step which is removable wouldn’t stay in the snap on wall slot. Also the support broke off the one side. You’re supposed to put it down when you’re going to bed to extend the floor space by the small bed. The floor board still needs the support fixed and the wall mount reattached. The fold out chair was unfolded so roughly by my passenger sleeping in the small bed that it fell apart. You need the chair to have a place for your feet that stick out beyond the end of this short child’s bed which is really the couch. A friend managed to fix it but I still need to get bigger screws for a permanent fix. There originally was a table you could put in front of the couch. The end just slotted into a hole on the floor. The bottom metal piece had detached and so there was a hole open to the outside. I found that the table was just in the way and I never used it because I usually had someone sleeping there anyway. To correct it properly I would need to get it welded back into place. So it got covered in duct tape instead and I haven’t missed the table at all. I guess because I never got used to having it there in the first place. For the first year or so I could start the generator if I left the engine running and then pushed the start button. They shut off automatically if the gasoline level goes below a third. This is to keep you from running your generator and then running out of gas and becoming stranded because you wouldn’t be able to start the vehicle in the morning. I’ve never used the generator because where I’ve camped they haven’t been allowed. I had it looked at this past year. I need to replace it if I want a generator. It’s not high on my want list. It never gets cold enough to need the furnace. I always carry a butane stove with me so I can always cook. Now I always go to a specialized propane provider. People at gas stations who fill propane may not know what they’re doing. Mine was overfilled which turns the propane into a liquid which will not burn. Also I learned that the wire by the propane that was not attached is the one that goes to the gauges inside. My gauge was always at full. Apparently that’s the way the majority of RVs are. No way of telling how much propane you have until you run out. The propane tanks with gauges are more expensive and they’re not put in. The propane wasn’t getting pushed to the furnace adequately when I first got the RV so that system had to be replaced. There’s a screen door that can be pulled across but for it to be useful you need the porch door to stay open. The original bar at the top of the door didn’t keep it open. So I had it replaced. Then it was extremely hard to open and close. You had to lean your whole body into it to make it shut. In a wind the door stays open with one of these devices. As a consequence of the anti-wind door holder, the entire cabin door needs to be replaced. The new RV shop said that you can’t use those on old doors. And of course my door is a non-standard size. I have to bring back my RV so they can measure the door. Then a factory will manufacture a custom door to the tune of around $1500. There was no awning when I bought the RV. It had been left up on a windy day, and been destroyed. To replace an awning is about $1500. I haven’t bothered trying to get it replaced as most of my camping is in windy deserts or on my windy island. Screens and small animals are a bad combination. I need to figure out how to fix the bottom where the screen is loose. I don’t usually camp anywhere with mosquitos or black flies so it’s not a big concern. I need to get a replacement part for my giant bike rack. My brother had been using pliers to pull out the release handle for the black water. I had the handle replaced. I hate dumping the grey and black water tanks. You’re supposed to be able to just remove the cover off the end of the pipe so you can attach the hose. But when I take off the cover nasty fluid starts oozing out. My brother thinks that means I probably need to get the valve replaced. I already replaced the cover itself since the first one fell off. The new one is supposed to attach to the pipe but it doesn’t. I really liked the people at the first shop. They liked Rover and were always friendly. But the guy who worked on my rig said that mine was the first one he had ever worked on and that was the very first time I took it in. Every single repair failed. On road trips I’d have to phone around to find an RV shop that could fit me in to fix the current issue. I finally got fed up and got a recommendation for an alternative place from my neighbour. So you really have to do what’s best for you. 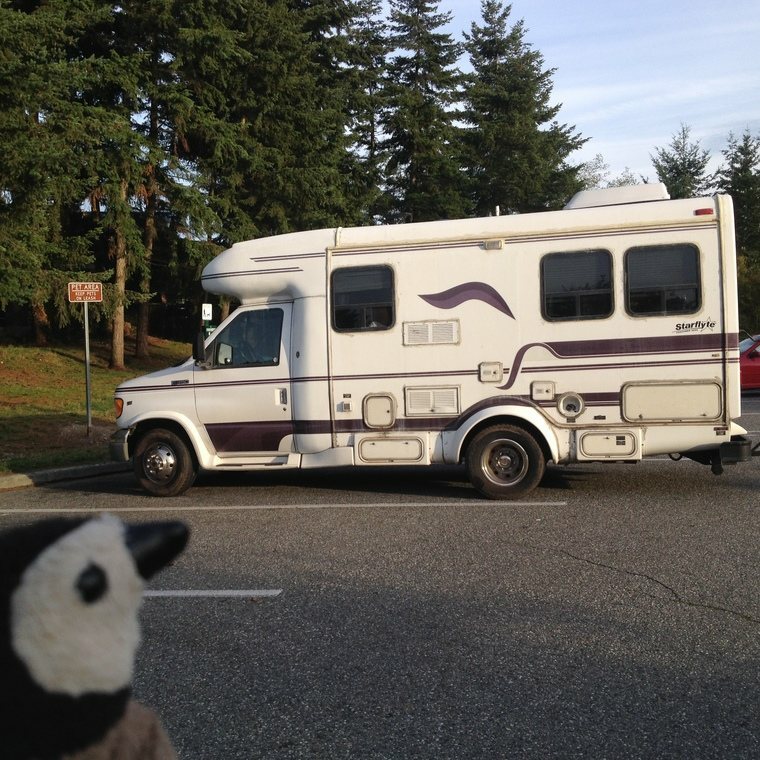 The post RV Repairs appeared first on Penguin's Wanderlust. 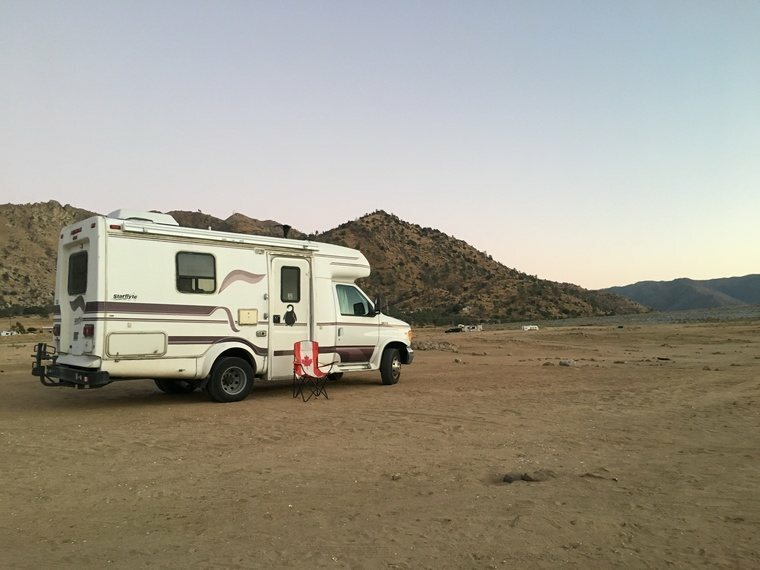 I love my little 21’ RV, and I’ve gone on many exciting adventures with Beastie in the last five years since I’ve hat it. Beastie is from 1998 but I intend to keep going on road trips, and not car camping sleeping in a tent like I used to. Once you’ve gone to an RV you never go back. Well almost never. I did sleep in a tent last summer by a fast moving river. So what are the disadvantages of an RV? The expense is not so much gas but the never ending repairs that accompany any old vehicle. I had been looking forward to exploring Sedona but the streets were just too small and windy so I headed to the highway. Thanks to Google maps on my iPhone (they were in cahoots) I ended up on Caliente – Bodfish Road going through Dead Horse Canyon to reach Lake Isabella. It was a tense hour of switchbacks, narrow roads, and steep inclines. Too bad I didn’t have a dashcam for that nightmare. The final descent to the tiny town of Bodfish by the lake is a scary stretch. Good thing my brakes worked. Needs new tires: I was told to avoid driving on slippery roads. But mostly it’s sitting because it needs a new starter battery. I got the Automobile Association to give it a boost in the early fall so that I could drive it to get it winterized. They were grumpy because I still had most of a tank of fresh water. They took it out on me with their hourly rate. It needs something done to the engine too that’s expensive. I complained about a funny noise and they countered with a $1500 estimate. I can’t even remember what it was called. While it was still working I should have driven it closer to the garage so that I could plug in the electrical cord. Then I could have put in the small RV heater that keeps mold from forming inside from our wet winters. It’s been cold with snow this year. We haven’t had nearly as much rain as usual for the Wet Coast. I’d like to get a backup camera so that I stop ramming my big bicycle rack into things. In Banff, Alberta cars have more options for where they can park. But the RV Parking location wasn’t too bad because there was RV parking along the street across from the railway station. Just watch Robin Williams in the movie “RV” to know the horror of having to do this. I think I need to get a valve changed because when you take the cap off to connect the hose, the fluid bursts out. Nothing should come out until you’ve made the connections, and then go around and pull out the release handles. Just sit the RV in the hot sun for a few hours when it’s almost time to empty the tanks. The convenience of having an onboard toilet have to be balanced against this chore. So what happens is that at festivals you use the portapotties unless they’re too disgusting. Try to only pee inside because that’s not as bad for smells. 8. You may have to pay at an RV Park to dump your tanks, and take on fresh water. Avoid drinking water from the tanks unless you’ve boiled it first. Even a month of sitting can lead to amoebas and bacteria growing. I bring big bottles of drinking water. Ten bucks or so should be enough to be allowed to use their services. Some rest stops along the interstate highways have RV dumping stations. The initial cost of acquiring an RV can be greater than what you would drop on a car. Or in the case of an older RV it’ll be the combined acquisition price plus early repairs to make it road worthy. After you’ve had it for awhile though it will pay for itself in what you save on hotels and restaurants. I’ve made a few great American road trips that would have been prohibitvly expensive had I not had an RV. Because the RV is longer than a car, you’ll have to pay extra on ferries. Mine isn’t much longer than the regular length so I don’t pay much more. At festivals you get to pay extra for the ability to sleep in your vehicle even though it’s usually dry camping (i.e. No services). Would I willingly go back to car camping? No way. I love my little Beastie. I feel safe and secure inside reading a book in bed before I snuggle down to sleep. It insulates me from the weather, and offers protection. It’s the way to go if you can swing it. The post The Disadvantages of an RV appeared first on Penguin's Wanderlust. 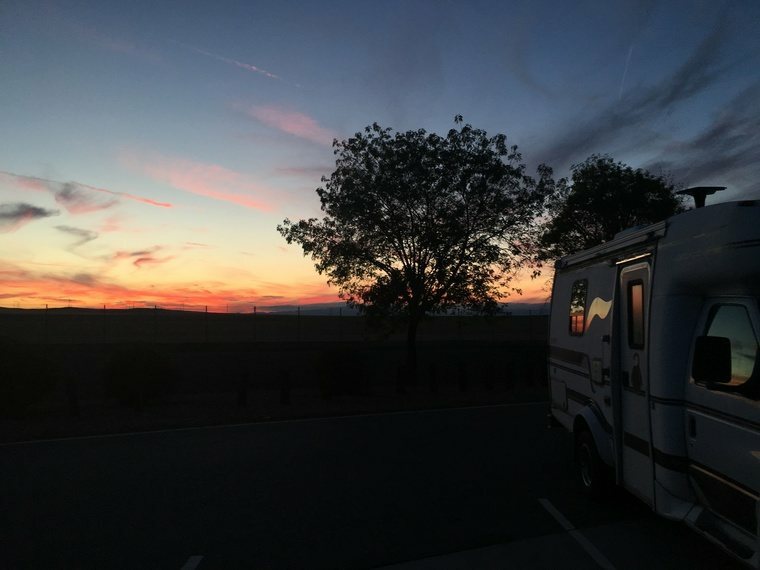 Having a small RV makes travel and camping so much easier. Before I bought my brother’s 21’ 1998 Coachmen Starflyte motor home, I had never even considered acquiring one. Why not? I simply didn’t have the funds for such an expensive purchase. This one was possible because my brother only asked for $4,000 USD and another $1,000 for getting the engine and everything checked out. I’ve put in considerably more over the five years I’ve had it. I’ll go into the associated expenses in another post. For now I’ll go into the RV advantage. 1. You have walls and lockable doors. Much safer than a tent. 2. Because it’s a mini-house you have all the comforts of home. Assuming that you’ve brought food and water you can retire inside. 3. Cheaper than a motel or hotel especially if you stay at a Walmart or other store, or at a rest stop. If you don’t need services there is no need to stop at an RV park. Some of the RV parks are nice but if you have neighbours on either side then the only benefit is electricity, water, and sewer drainage. Unless you’re planning to stay for more than one night there’s no advantage. 4. You can save money on meals by using your own kitchen and food. 5. You can stop anywhere for the night. Some people enjoy “boondockin” especially on Bureau of Land Management (BLM) land. There you get the best scenery. 6. Unlike a camper trailer there’s no messing with hookups or raising and lowering parts. It also drives like a car so there’s no learning curve. Where it’s not as good is that you can’t disconnect a pickup truck from it and then go exploring on roads that are twisty and narrow like some parts of Death Valley. 7. It’s better than a van with just a bed because it has full plumbing in the kitchen and bathroom. 8. Easier than having a camper top on a pickup truck as you need someone else to help put the camper on and off. I like the fact that I can just get in and turn the key and go. Which I can’t do right now because I need to replace the starter battery. I had an older gentleman ask at a gas station if he could take a peek inside. He had a camper where you have to climb a ladder to go to bed. He said it was getting too difficult for him. He liked that mine has the bed at the back instead of over the cab. A lady working at Yellowstone Park liked the small size of mine. She thought she could be quite comfortable with one. 21’ to me is a great length. Only a touch longer than a car it almost fits in a regular parking lot space. I met someone with a really big RV. They said they couldn’t overnight at Camping World because of the way the parking lot was divided by barriers. Kind of makes me wonder if that was on purpose to keep the big rigs out. I love my little Beastie. After I get some issues fixed I’ll be able to take it camping again this summer. If you can afford one (plus repairs if it’s an old one) I recommend doing it. 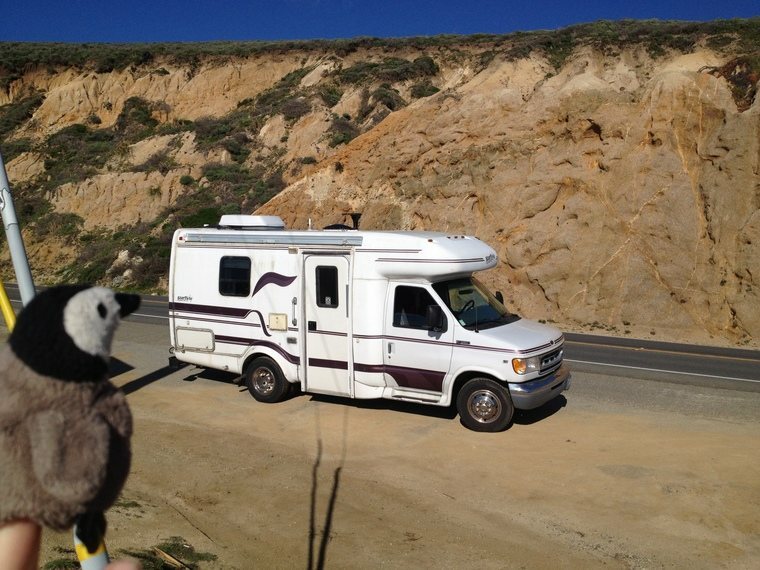 The post The Advantages of an RV appeared first on Penguin's Wanderlust. Below I list my favourite 10 art pieces. They may not be the same as anyone else’s but everyone loved Moondancer. I’d say that was the real hit of this year. The gold art car in the featured photo is Little Abraxis. I hadn’t seen this dragon before. This was my eighth big burn. I started attending in 2009. The last couple of burns weren’t great. In 2014 four of us got stuck in a Honda Accord for 18 hours on gate road because of two thunderstorms and a hail storm. When we got in we also only had two bikes to share. We skipped 2015 in favour of going to Florida instead. In 2016 I started south in a convoy with friends but only got as far as Snoqualamie Falls, WA. An emergency back home had me transferring my passenger and her bike to my friend’s vehicle. Then I turned around. I managed to return and arrive Thursday of burn week. My bike decided to bounce off the bike rack at the Peace Arch damaging its wheel. Thanks to Wonder Camp I was able to ride a little bit. This year I couldn’t find the key to unlock my old bike. So I didn’t take it in to get a new wheel. I decided to buy a new bike in Reno at Black Rock Bicycles. Due to my cell provider having Roam Like Home, I was using my phone. Still scared to look at the bill on the data usage with roaming though. I discovered that not only was the bike shop going to be closed the next day which was Sunday, but they were also completely sold out and had no bikes left to rent. So I called a couple of shops in Grants Pass, Oregon and went to look at bikes. I really liked a beautiful pink cruiser but it was $700 heavy, and would be tempting for someone to steal. I saw one on playa but covered in dust it wasn’t as enticing. I ended up buying a 7 speed bike in Medford for about $500. I bought a U-lock which actually ended up being easier to store and use than the cheap locks. I’ll be able to use the bike at home too. 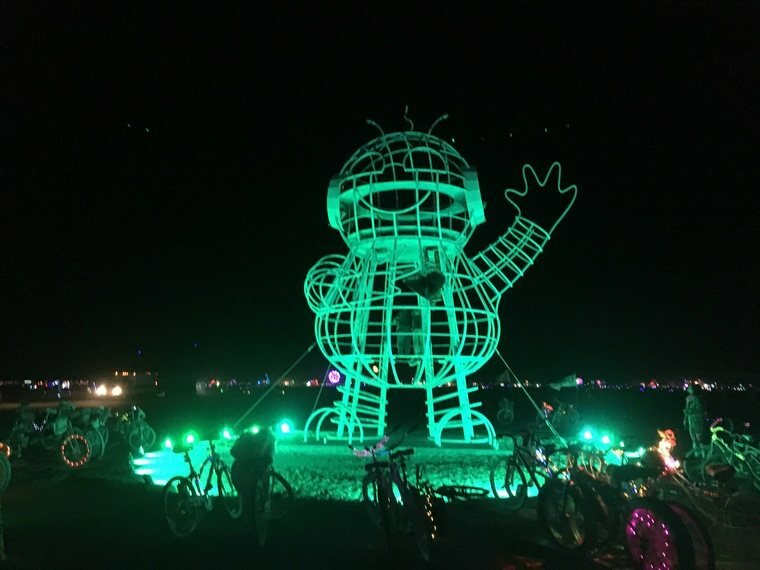 Having a really great bike meant that this year finally I was able to go check out the majority of the art work on the playa. A friend posted someone’s article on this year’s best art but they weren’t the pieces that I would pick. So here I present to you, the art that I resonated most with. The artists are named and a link is provided for their own information. By Philippe Feslon and Compagnie Off from Indre-et-Loire, France. What I liked most about the Wheels were what a simple but powerful idea they encompassed. They were comprised of two connected wheels with a handler walking them forward from the middle. I heard they asked for a six hour commitment. The first time I saw them they were far away, then I saw them in Black Rock City, and then I was lucky enough to see two almost choreographed shows on the playa. There were a few different sizes, and the biggest one was attached to a crane. At the end of their routine they become attached to each other and they start to move vertically up. I could watch them perform for hours and hours. I hope they come back. You can find more information about the Color Wheels here. 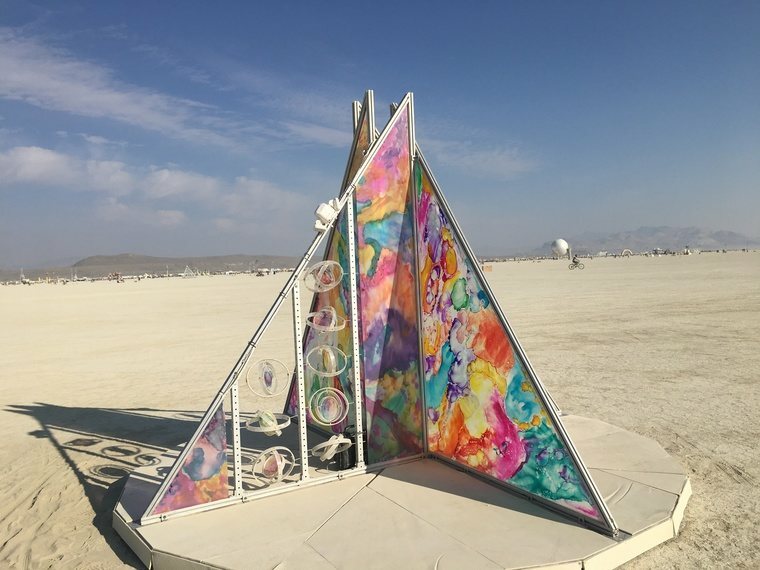 There’s also details here about bringing the Color Wheels to Burning Man. By Lekha Washington from Mumbai, India. Another simple but powerful idea. At first it was like how are there two moons in the sky? It caught our curiosity. We watched the imposter pass through the phases of the moon and wondered how it could have been programmed that way. It was far away and we could only speculate. As it appeared more often, we discovered that the moon was attached to a girl’s bicycle. An art piece attached to a bike was a novel idea to me. Eventually I managed to be close enough for answers. The artist’s friend told us about it. The artist’s name was Lekha Washington. The moon was an 11′ balloon that needed to be refilled with helium every day or so. One side was painted black, and the other side white. There were LEDs inside to light it up. There were some craters but the artist painted what she wanted. The wind turning it was what caused it to show different phases of the moon. It was so effective. I hope it’ll be back again maybe with more of the solar system in attendance. Some people called it the moon or Faux Moon (French for fake) or Fake Moon. It tricked a lot of people. You can find more information about Moondancer here. By Bjarke Ingels, Jakob Lange, and NABO from Valby, Copenhagen, Denmark. Horror films frequently have a big alien ship hovering over the Earth. This is what I was reminded of when I first saw the Orb. You can find more information about the Orb here. By Chris Wollard from Tulsa, Oklahoma. I fell in love as soon as I saw this art car. It was a bigger than life sized version of my childhood robot. The one whose whirring and bumping into things had me jump onto the safety of the chesterfield when I was small and it first made an appearance. You can find more information about the Autonomous Dancing Disco Bot here. By Jessi Sprocket Janusee and Baba Yaga’s Book Club from Sparks, Nevada. I play a table top miniatures game by Privateer Press called Warmachine / Hordes. In my Grymkin army one of my favourite warcasters is the Old Witch who is on her house robot called Scrapjack. You can learn more about the Baba Yaga House here. By Rebekah Waites from Los Angeles, California. For the very first time I made an effort to learn how to read the art map. I marked out the big burns so I’d know what to see first. Singularity was one of these. I didn’t know what a singularity was. In this case it was a house, inside a house, inside a house and it was a wonder to behold. Sad that it burnt though. You can read more about Singularity here. By Barry Crawford from Elko, Nevada. I have a horse. Usually not rearing though but I like horse stuff like statues. You can find more information about the horse and artist here. By Charles Gadeken from San Francisco, California. We met the artist. 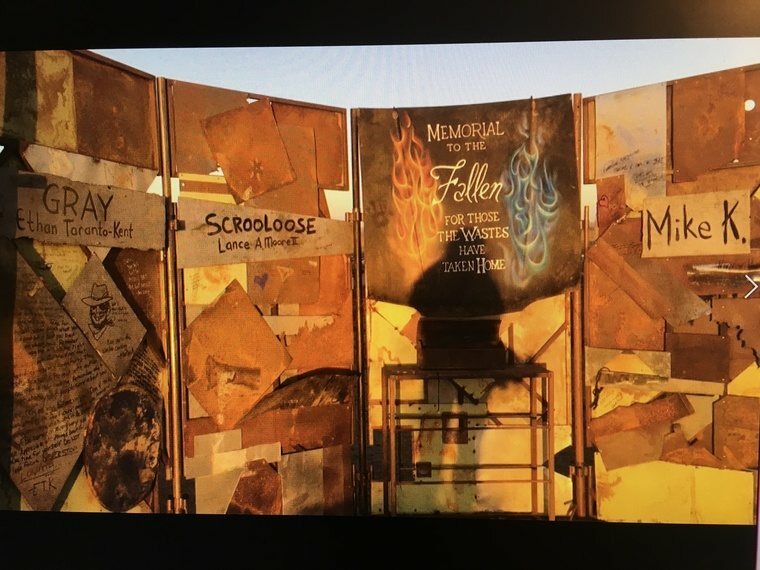 He was part of the Flaming Lotus Girls team since 2000. I would love the opportunity to work with them as well. The four spires move through hydraulics with ever changing lighting. There is a control panel that you can play with. By Andrea Greenlees, Andy Tibbetts, and Josh Haywood. This little cute guy was off to the right of the Man. He reminded me of the minions in “Despicable Me”. He was built to be climbed and had ever changing colours. He was 35′ tall. 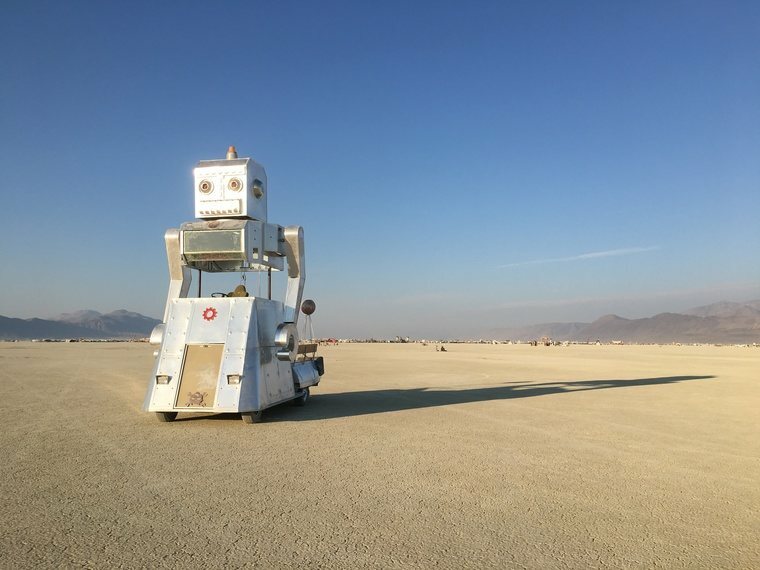 You can find more information about Burning Man Project on BEBOT here. By Deniz Nicole from Ojai, California. This piece is made of tempered glass with the bright colours painted with fire. The gimbals add to the fun by being able to spin them as well as the entire carousel. 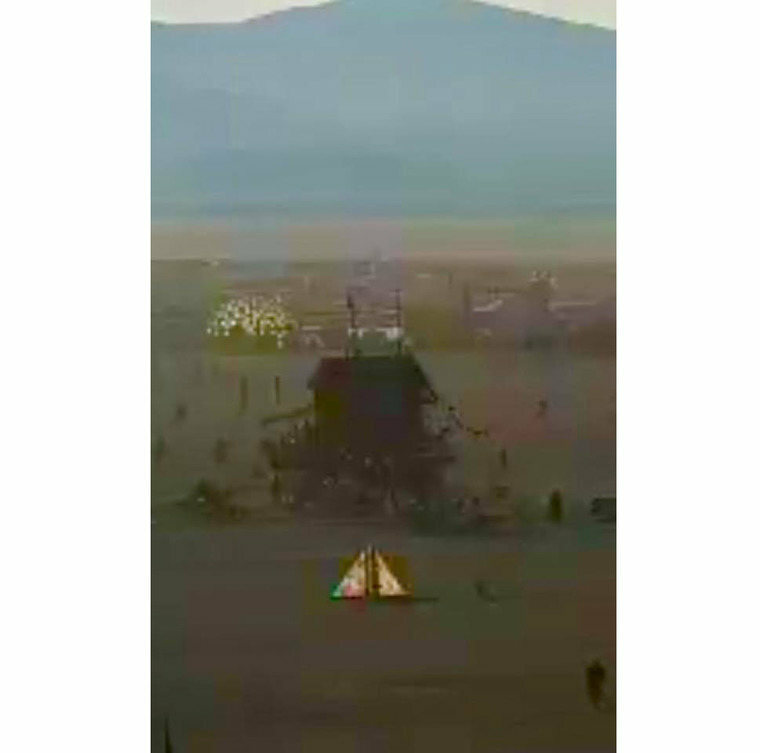 In the dawn light it shone like nothing else on the playa. This photo is thanks to the live feed, and alertness of Ray Cirino who captured this still at 7:30 am one morning. The Baba Yaga house looms behind it in the gloom. You can find more information about Carousel Candeo and further art projects here. Special mention to the Black Rock Observatory. Sorry I have no photo but a visit there was very memorable. I’d recommend that you seek them out if you haven’t already. For the very first time I looked through a telescope and could easily see the craters on the moon. I was very excited by this and am very grateful to have had this opportunity. You can find more information about Black Rock Observatory here. As always I missed some art. Luckily others document what I’ve missed so that we can all enjoy it from the comfort of our homes. 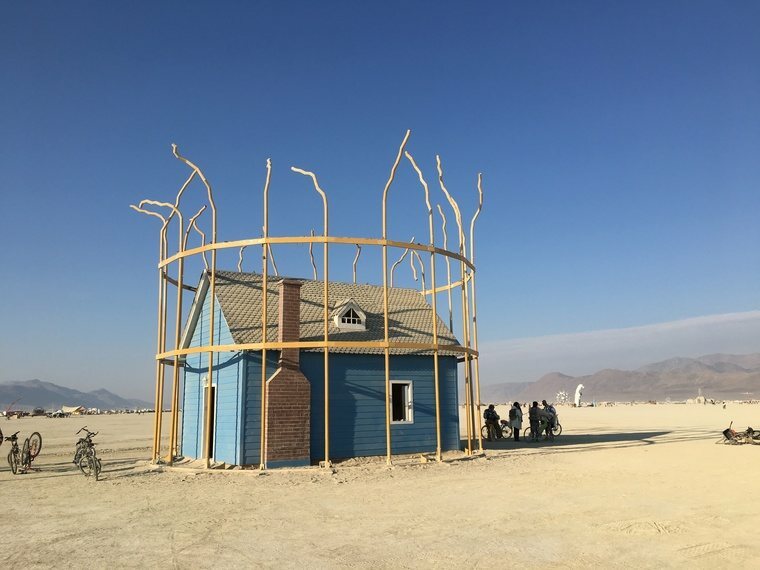 For more information about Burning Man’s 2018 Art Installations. 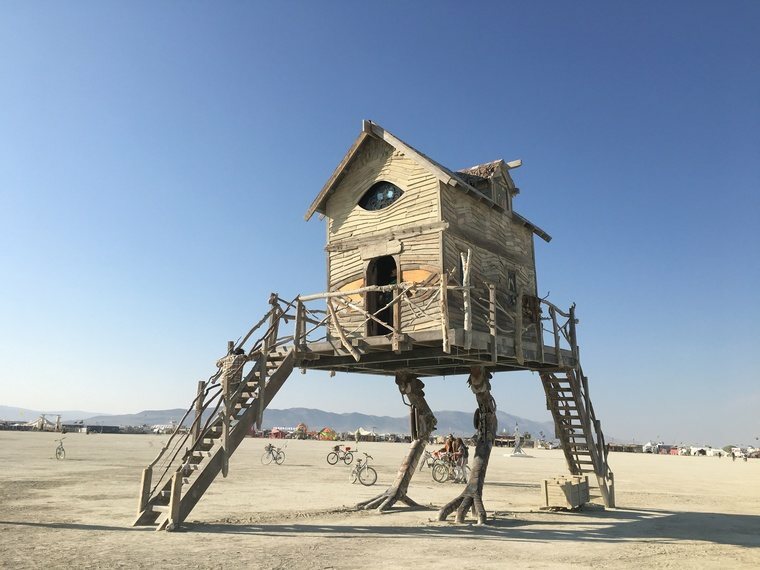 The post Penguin’s Best Art of Burning Man 2018 appeared first on Penguin's Wanderlust. 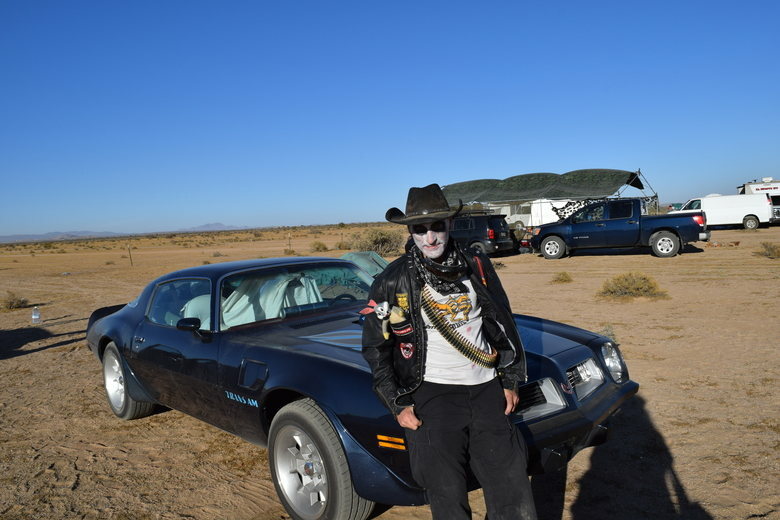 I was able to interview Firebird at Wasteland Weekend in the Mojave Desert in California. He talks about his love of Canadian food, old cars and racing, and the development of his Wasteland identity. Carolyn – Today here at Wasteland Weekend, the penguins are pleased to present Firebird and his car. Firebird – What a lovely day! A little windy. 1975 Trans Am. Its name is Phoenix. It’s a 455 cubic inch stroked to 496. Used to have 200 horsepower now it’s got 320 horsepower. 430 pounds of torque. It’s really loud. Loud as Hell. I didn’t know if it was going to make it here but it made it here. Carolyn – Cool, cool. You haven’t been taking it out in the car cruises? Firebird – I didn’t take it in the car cruise. It would have been the only car in the cruise that didn’t have anything done to it for Wasteland but I thought it might fit in. I thought about it but I decided not to. Carolyn – Maybe next year? Carolyn – Welcome to Penguin’s Wanderlust. Today we have Firebird and Bugs who are going to talk to us about Canadian Smarties, cars, and what has brought him to the Wasteland. Firebird – Hi! Would you like me to talk about those things now? Nomenclature – Multi-coloured Candy Coated Chocolates. What we call Rockets, Americans call Smarties. Carolyn – You tell me about those Smarties. Firebird – Well, you can get Smarties in the US but every time you do,they’re British Smarties. I might have had them before, and never really thought about how good they are. My girlfriend, her Mom brought some from Canada, and they were delicious, and I got addicted to Smarties. So then we went on this trip to France. We went through Toronto. I got some in Toronto. They were delicious, and I ate them. Then in France I was like, oh, I need more. So I got some more Smarties in France, and they were not delicious. So I’m like what’s going on here? So I did a little research. They’ve got one factory in Canada, and one factory in England, and they are different Smarties. 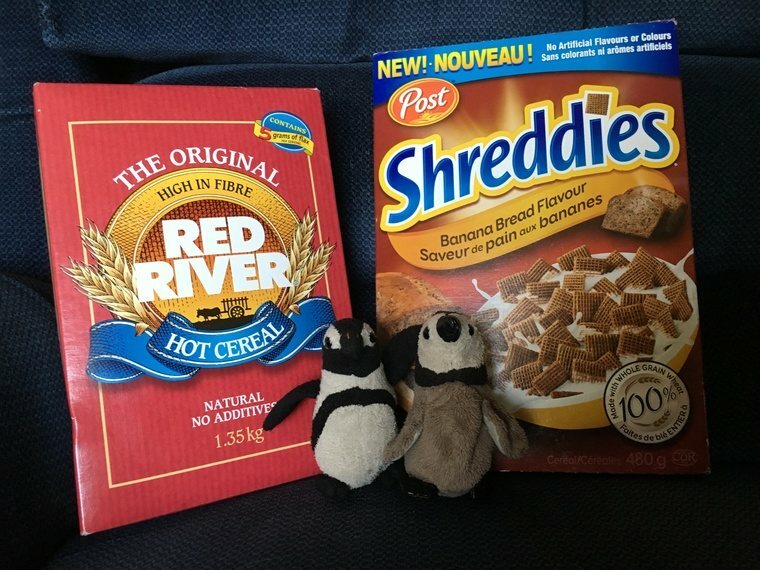 Like different colours, different packaging but most of all the Canadian ones have a thicker shell so they’re crunchier. So I love Canadian Smarties but I can’t find Canadian Smarties in the US. So big deal when I saw Carolyn posted online that you were bringing, could bring Canadian food. So I needed some missions for Wasteland, so one of my missions was to find Carolyn, and find my Smarties. I found some other Canadians who also had Smarties, and they didn’t know who Nettle was. So I thought I guess my mission’s done, and then I saw the poster they had put up saying “Where’s John? Where’s Firebird? You said you wanted Smarties.” I thought my goodness there are more Smarties to be had, and then I found you, and had more Smarties. Carolyn – No longer an impoverished world. Firebird – Ya, I’m rich. Carolyn – There are Smarties in the world. Firebird – My Smarties cup runeth over. Carolyn – And now you have a Coffee Crisp to take home or eat on the way. Carolyn – It was really hard having all the snacks in the car. We ate the Ruffles All-Dressed chips first because people said you could get All-Dressed in the States but they’re not the same. But we ate those. I still have the Dill Pickle and the Ketchup chips, and Red River cereal, and Shreddies, and today is Saturday. I’m not sure if those people are going to come and see me before then, so they may be going home. Firebird – You ate the All-Dressed? All of them? Carolyn – Both packages, ya. Firebird – Because my girlfriend loves the All-Dressed, and I like them. They’re just kind of weird. They taste maybe like a combination of vinegar and barbeque or something? Firebird – They’re good but … my girlfriend likes them. Carolyn – They have a strong flavour. Firebird – They’re good. My girlfriend loves them. You could get them here for a little while , and every time I saw them I’d buy them. They’re really hard to find here. Ya. I don’t know if they’re different or not. That’s what I’ve been told. Carolyn – I’ve been watching the dialogue between the people from Canada talking about what people wanted. They wanted people to bring Kinder Surprises but there’s a $500 fine if people get caught. Firebird – Totally illegal to bring in. It’s hilarious. You should have done it though. That’s why it’s so great. Carolyn – Because American children are too stupid not to eat the tiny toy. Firebird – Exactly. You should have brought them in.That would have made it even better. Then it’s like actual smuggled goods. Carolyn – No. No. We want to keep our clean record. Firebird – Keep it legal. Carolyn – So Albatross and Timekeeper said that you’re heavy into cars. Do you race cars? Carolyn – That’s pretty exciting. Firebird – So I consider myself a minimalist and not a materialist. So I really don’t own anything, and I don’t own a house or anything but I do own six cars. So there’s the 1975 Trans Am I brought, and I own a 1992 Toyota MR2 that my dad recently gave me. I have a 2013 Subaru Crosstrek, 2013 Subaru WRX, 2012 Scion Fr-S, and then a 2010 Dodge Challenger. My favourite thing to do with them is to race them in the Big Bend Open Road Race or the Nevada Open Road Challenge. They actually close down public roads, and we race down them, and you do have a speed limit. Carolyn – Is it a rally race? Firebird – Ya, sort of because you have a time, an average time you’re trying to hit, and you have a speed limit but the speed limit is like 120, 140, and this year I entered the class where my speed limit was 168. Firebird – So I was driving 150 most of the way down public roads, and it’s a blast. You can enter the top class, and there’s no speed limit at all but you have to have a fire suppression system, and removable steering wheel. All kinds of very expensive features. Carolyn – So you can be like the Warboys with your (steering wheel). Firebird – Ya, exactly. So it’s like expensive modifications, and I’m not even sure if the cars are street legal any more. There might be some street legal cars in the unlimited class but it’s kind of hard because you do so much to your car. I have a lot of fun doing those races. Carolyn – Where do you do those? All over? Carolyn – Oh, wow, And do you go to them all? Firebird – I would like to. I usually have been doing two a year. I’ve never been to the Nebraska one. Carolyn – A friend wanted to do the 2019 from Peking to Paris. Firebird – Oh, that sounds awesome. Carolyn – In an old car. He said it filled up right away, the registration. They do it every two or three years. Firebird – There are some cool races like this around the world but less in the United States. Like I said there’s these four. They’re short. They’re not like that like the big rallies you’re talking about. But another one in Canada is Targa Newfoundland. It’s one I’ve heard about that I’d like to do one day. Carolyn – Is it in Newfoundland? Carolyn – So you’d have to somehow get on a ferry. I’ve never actually been to Newfoundland. I grew up in the Maritimes in New Brunswick. That’s pretty much the only province I haven’t ever been to. Firebird – I didn’t even realize it’s an island. Is that what it is? Carolyn – Yes, it’s an island. Firebird – So I guess you put your car on a ferry. Carolyn – They lumped Newfoundland and Labrador together. Labrador is next to Quebec and attached. Newfoundland is the rock. Firebird – They close a bunch of public roads down. I think it’s a multi day event. I think. Big I think. It’s a little bigger deal than the one I get to do. The one I get to do is like one day, and there are a few days leading up to it, and the car shows. We invade these two little tiny towns in Texas and Nevada where not much goes on. So it’s a big deal to have all these super cars come into town for the week. So we have a car show and a parade and stuff. And then we do the race all in one day. It’s like you get to go down once, and you get to go back once in the Texas race. In the Nevada race you just get to go down once, and that’s it. So it’s like all this kind of leading up to like, and relaxing, you’re out on the desert, and it’s kind of relaxing talking to people but then all of a sudden it’s like you’ve got all your safety gear on, and then you race, and then it’s all over. There’s a lot of relaxing and waiting, and then all of a sudden a brief little moment of adventue. Carolyn – Cool. Do you have like a GoPro attached? Firebird – Usually I put one GoPro. Some people put cameras all over their cars. I usually put just one in the window. But the thing about the GoPro is, it’s really boring to watch the videos. The only time it’s exciting is when you’ve crashed, and so you put the GoPro on the car just in case you crash. Now sure you might die and that would be a pretty morbid video to watch, but if you don’t die it makes a great story. Carolyn – Ya, snuff movies homemade. So do you have any up on YouTube? Firebird – Hmm. I haven’t put them up on YouTube because I like I said, they’re boring because I don’t crash. Carolyn – Probably a good thing. Firebird – I’m pretty conservative with my … because they’re my cars. I don’t want to hurt my cars. I’m not doing whatever it takes to become a really good driver. I just want to be a kind of good driver, and I’m a pretty good driver. Carolyn – Do you do the mechanics yourself? Firebird – No, that’s one thing I don’t. I’ve thought about it. I think it’s mostly a time thing. I’m a software engineer so I don’t really have time in my spare time to like work on cars. I’m kind of learning a little bit. I went to mechanic school for a one week mechanic class last year. Firebird – If I only learn one week at a time it’s going to take a long time because I don’t usually the work on the car myself. I don’t really have time. Carolyn – What kind of software engineering do you do? Firebird – I build websites ZipRecruiter.com. It’s like a job website. Carolyn – I used to do air traffic control. Firebird – Air traffic control? Firebird – I wanted to do that at one point. Carolyn – Ottawa. We did command and control systems for like Westinghouse and different places. Firebird – So you’re saying you used to build software? Carolyn – I was a software engineer. Firebird – I thought you meant you were an air traffic controller. Carolyn – No. I was a software engineer. Firebird – Cool. So you’ve done the same job. Firebird – I used to think I might want to be an air traffic controller. I’ve always been pretty good with stress, and they say it’s stressful. Carolyn – Ya, I actually met Josh or Spoons here the first night, and he’s an air traffic controller and so’s his wife. Interesting the people you meet here. 5,000 people. I haven’t found him again. He made armour three years ago out of spoons, last year out of forks, and this year it’s out of knives. Firebird – Now he’s running out of ideas. Chopsticks. 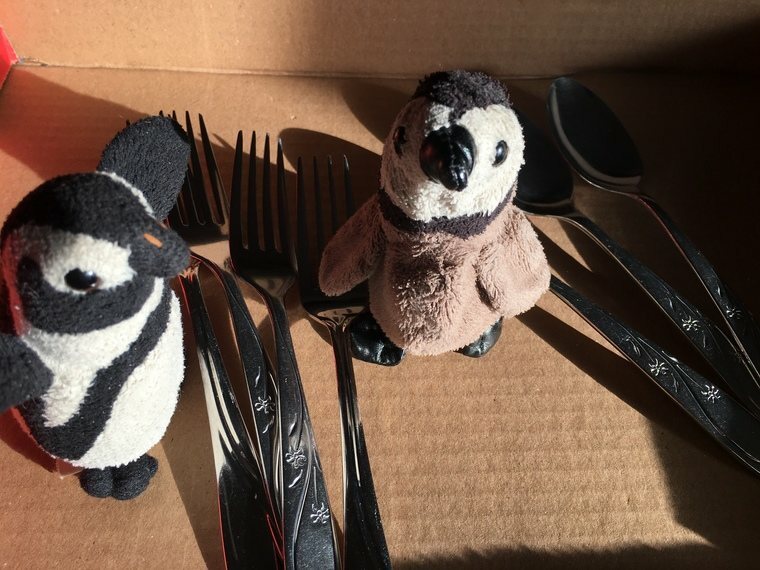 Carolyn – He’s thinking those spoon fork things sporks but I don’t think he’s going to find many sporks in the thrift stores. Firebird – I’ve been looking for the crows so I could tell them my story of how I went looking for you, and I found them, and I did find Smarties, and then I later found you but I can’t find the crows again. They had a camp and it vanished. I can’t find it. Carolyn – Oh, there are white crows down one of the main roads. Firebird – I think Crow Coalition is what it’s called. Carolyn – There are crows from Edmonton, from Alberta. Canadian crows. Firebird – Yes. That’s probably who I found. Firebird – I must have gotten your post confused because I think I saw a picture of you. I took a screen capture. I should go look at it. Because I thought it had your picture but it said I’m with the Crow Coalition. Carolyn – No, we’re in the seagulls. Seagull clan. But I think I may have jumped onto someone else’s thread. Firebird – Ah. That’s what it is. You jumped onto someone else’s thread. So I got confused between the two threads. Carolyn – Ya, no there were a bunch of Canadians. Firebird – See this is one of my missions. Seagull Clan. Crow Coalitonition question mark. So I did put a question mark. Carolyn – No. We don’t like crows. Seagulls’ll take crows. There they go off with their stuff. So what brought you to Wasteland? Firebird – Well I’ve always wanted to go. I love the movies. Mad Max is one of the things that got me into cars. 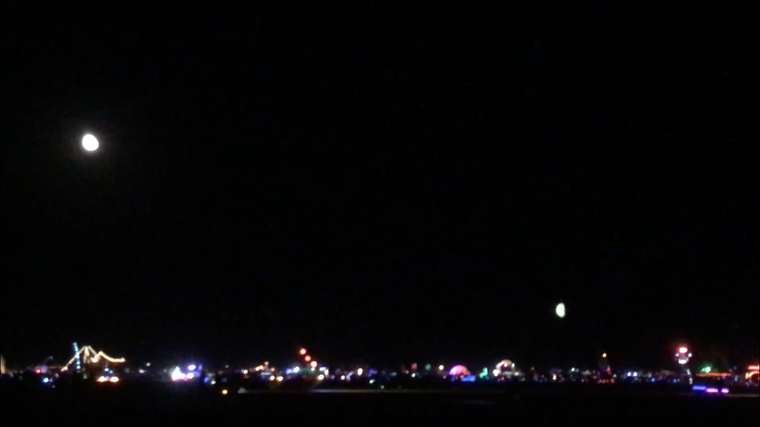 Burning Man always seemed like a cool idea but it got really big. Carolyn – Have you been? Firebird – No, I’ve never been there. I just heard that it got really big. Carolyn – 80,000 this year. Firebird – It’s kind of like overwhelming. Maybe too much of a theme. Too many different themes. 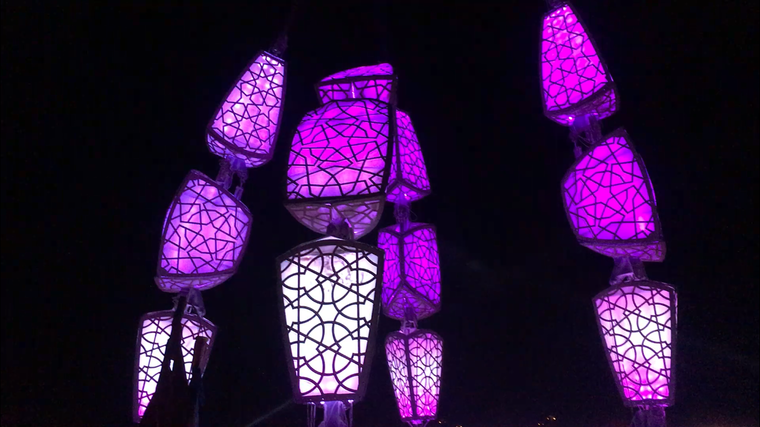 This is the main reason I would come to Burning Man For this kind of thing. The thing we got here and this is a smaller event, and closer. I always wanted to come here but I couldn’t. I lived on the east coast for awhile. I lived in Austin, Texas in the middle of the country for awhile. But now I live in Phoenix so I’m close enough and I work. One of my companies is based in LA so I can visit the company for some facetime anytime I want. So I can come to LA anytime so I came to LA. I worked for a week. I left work early on Friday, and came out here. Carolyn – So you drove all the way with the car, and then worked. Firebird – It’s the longest road trip I’ve taken with the car. When I first got this classic car, when you buy a classic car, whatever you think your budget is – that’s actually half your budget. The rest of your budget is to fix it after you get it ’cause people are all trying to get rid of their classic cars because it’s a pain. There’s something wrong with it, and they can’t figure it out or whatever or they just can’t afford to keep it up. But I kind of expected that so I got this car. It was like the perfect one. I had to go to Florida to check it out. I even talked to the mechanic there, before I talked to the sales person. The mechanic was actually really honest with me. I said something like I was thinking of just driving it back to Austin. He was like don’t do that. The mechanic who works on the car said don’t, and he’s the mechanic. Basically saying the work that I do, I don’t do a good enough job to trust it. I think it’s because they don’t want him to do it. They want him to spend his time to just to get the cars to run. Carolyn – Ya, do the bare minimal. Firebird – So we shipped the car, and it ran for one month, and then it spun a bearing which means a complete engine rebuild. The most expensive thing that can go wrong with a car. So took it in for complete engine rebuild, and it also takes quite awhile. If you want to not put a new engine in it would save a lot of time. Carolyn – We had an engine rebuilt for a Volkswagon camper. Firebird – So I mean just finding the parts, and getting a good machinist, getting time for him to actually help you out – it took a year. So a year later, after buying my car, I got it back, and it spun a bearing a month later, again, and the mechanic who rebuilt it for me honoured his warranty, and he rebuilt it again which was great. Carolyn – How many bearings do they have? Firebird – Well they had to keep getting more. Oh, how many bearings does the engine have? Well I guess it had like eight. But they had already replaced them all. Nonetheless it’s their fault since they rebuilt the engine. Carolyn – So much to do here. That’s what I found. Firebird – Ya, I’m a little even confused about what to do. Ya, so it spun a bearing again, and the mechanic honoured the warranty. Point is I didn’t have my car. I bought it and two years went by before I could drive it. Carolyn – Didn’t you have another five? Firebird – I had several other cars but I didn’t have my classic car. And so finally a year ago, my classic car was ready and driveable. So it’s been driving well for a year, and that’s what gave me the confidence to take it on a six hour road trip. Now in the past year, it has suddenly quit on me three times. When it does it, you just pull over, give it a little time to sit, and it runs again. So we’re trying to figure out what that is. Carolyn – It needs a moment. Firebird – So it did quit on me on the LA freeway. Carolyn – That’s not a good place. Firebird – I had to pull off. Cars were flying past , and it started up again, so I made it out here, so hopefully I’ll make it home. Carolyn – So you’re enjoying Wasteland? Firebird – I love it, ya. Carolyn – Good. Anything else you want to add? How’d you get your Bugs? Firebird – Well that’s a good question. I think my favourite movie, at least for a long time, was Thunderdome. And there’s a character in Thunderdome that has makeup kind of like this. I wasn’t doing the War Boy thing. Before there the War Boys, there was a character called Scrooloose, and he’s silent though, and he doesn’t dress like this. I was kind of riffing on his character but he has this bunny. I went looking on eBay to find a bunny like the bunny he had, and I found a bunny exactly like the one he had. The bunny talks and says things. “Hey, take me with you!” And that’s actually the quote from the movie right there. He’s kind of wanting to go with Max, and get on a plane with Max, except that Max doesn’t have a plane. Carolyn – Was that the second movie? Carolyn – Third movie? Beyond the Thunderdome? Firebird – Ya, Thunderdome. He kind of wants to get on a plane. It’s kind of poignant the way the bunny says “Take me with you!” You know. He’s hoping that maybe Max can take them away. They want to find civilization again. Some of the kids branch out, and find civilization. So I kind of made up a back story for my persona. I found this bunny, and so I was thinking maybe I met Screwloose out in Australia, and now he’s missing. I’ve been trying to find him, and bring him his bunny back. Carolyn – Nice. So is this the jacket that has the Firebird on the back? Firebird – Yes, this is the jacket. I spent months on this jacket. Carolyn – Nice. Very nice. Firebird – I’ve sewn all these patches myself. I have a patch for every car that I own on here. I don’t know how to sew but I figured it just makes it more DIY if you don’t know how to sew. It kind of makes it better because you have threads going everywhere and stuff. Some of my pockets are sewn together now but … This jacket is looking too new for Wasteland but I mean I figure I’ll bring it every year. Maybe eventually it’ll get some natural wear and tear on it but I also wore it to work every day this week because it was cold. I told everyone I was going to Wasteland. (ringing) They were all like – cool jacket. Carolyn – That was our three minute warning because the camera turns off at twenty. Cool. I’ve learned. Thank you very much. Firebird – Thanks for having me. 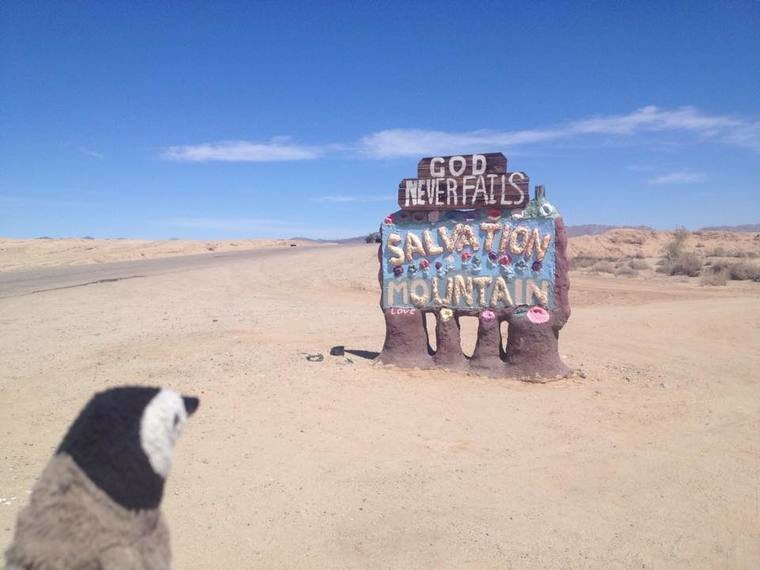 Carolyn – The penguins say thank you. Bye! 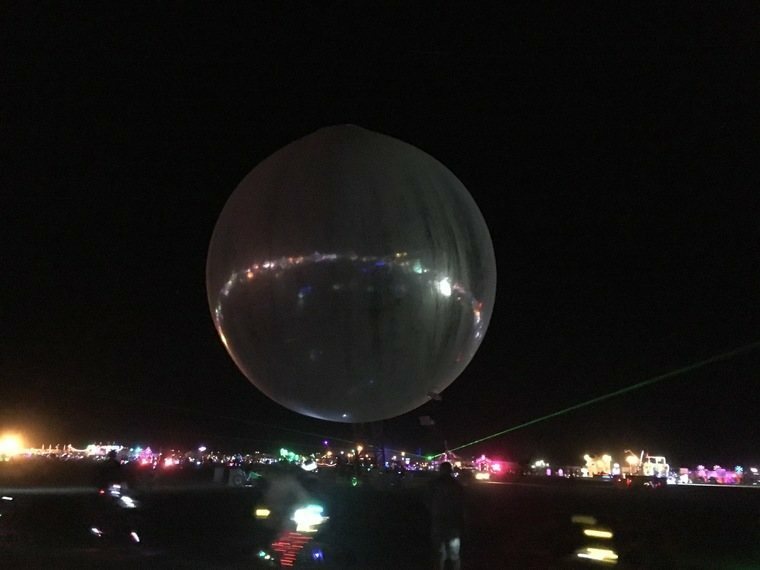 The post Firebird at Wasteland Weekend appeared first on Penguin's Wanderlust. You may not realize it but people around you maybe locked in a battle with their ears. They’re trying not to hear a particular Christmas carol. Do you know which one it is? When December hits or even before, some of my friends start posting about LDB. This behaviour started a few years ago on Facebook. At first I couldn’t make out what they were going on about. The postings were cryptic and undecipherable. But gradually I found out what they were doing. You know how shopping malls, stores, and radio stations like to try to put consumers into a Christmas frame of mood by playing carols? Well the one of particular note happens to be “Little Drummer Boy”. There’s a game where the objective is to be the last person to hear the song. If you try to sabotage someone else it doesn’t count against them. If you work in a store you probably won’t last long. If you avoid shopping and radio stations you might be able to make it almost all the way until Christmas and be a winner. One of the rules pages is Rules for the LDB (Little Drummer Boy) Game. If somehow you are unfamiliar with this popular carol, the group Pentatonix has a nice video for it on YouTube. They harmonize beautifully on all their songs. It’s not as old as I thought it must be as I learned from Wikipedia that it was written by Katherine Davis in 1941. I imagine that my local friends are playing LDB again this year but I’ve noticed that my Scandinavian friends are playing something different. I noticed when I was in Sweden and the following three years since then, that Europeans don’t do everything the same way as us Canadians. This year they seem to not be playing LDB but I don’t know if they ever did. What they’re playing is Wham. In the 1980’s there was a band called Wham. They played happy songs like “Wake Me Up Before You Go Go”. The lead singer was clean cut George Michael. They released “Last Christmas” in 1984. This is the song that my European friends are avoiding this holiday season. You can look at the official Facebook page for Whamageddon The rules page is at Whamageddon.com. If you watch Wham’s official video for “Last Christmas” it’s obviously from the ’80s. The time of bright colours, loose fitting clothes including silk shirts, shoulder pads, and big puffy long hair on both sexes. I only just looked at the video today. Music videos used to only show up on the MuchMusic or MTV (Music TV) channels. Apart from the outdated fashion it is actually quite a nice video showing a holiday in ski country with a powdering of crisp white snow over the landscape. 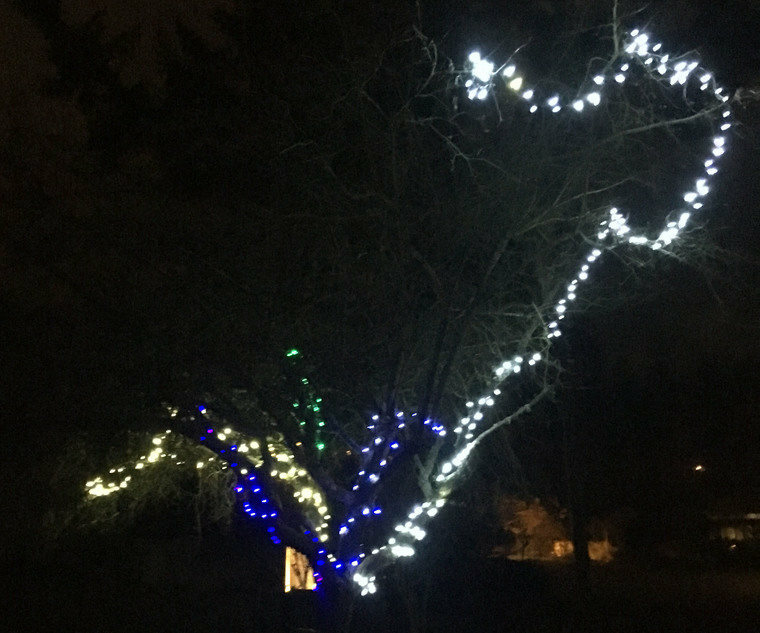 We seldom get snow in southern Vancouver Island so we can wax poetic about how pretty it is. We usually don’t have to deal with shovelling it. Check out the video if you haven’t seen it. If you’re playing the game then wait until after you win by lasting until Christmas. When George Michael left the group, he was turned into a tough grungy type. I never cared for that look. He passed away in 2016. My contemporaries like Michael Jackson and Prince haven’t made it to old age. Recently I watched a movie released in 2015, “Get Hard” on tv where the white guy, Will Ferrell. ended up in prison. He got some coaching from a black guy on how to survive before he went it. He pretended that Wham was all black guys, and his new friends weren’t happy when they found out they’d been tricked. It was an alright movie but not particularly funny or even I suppose politically correct. The humour is based on him trying to fit in. It ultimately has a happy ending for everyone. I guess I must have enjoyed it somewhat since I remembered the plot line and characters. I mention it now merely because of the Wham Christmas carol called “Last Christmas”. So far two of my friends have announced that they were “Whammed”. Part of the European version seems to be to say how you have been whammed and how you were trying to avoid it. It’s been going on since at least 2014 because one of the European gaming sites has the rules. Similarly to LDB you’re not suppose to intentionally expose someone to the song. So come on Canadians and Americans, get with the times. LDB is old hat having first surfaced around the year 2000, and Wham is where it’s at this holiday season. Let’s get in on the new tradition of Whamaggedon. Canadians are busy avoiding the “Little Drummer Boy”, and Europeans are avoiding Wham’s “Last Christmas”. Which version of this game are you participating in? Have fun whichever one you’ve chosen. The post LDB or Whamageddon – Which Christmas Game Are You Playing? 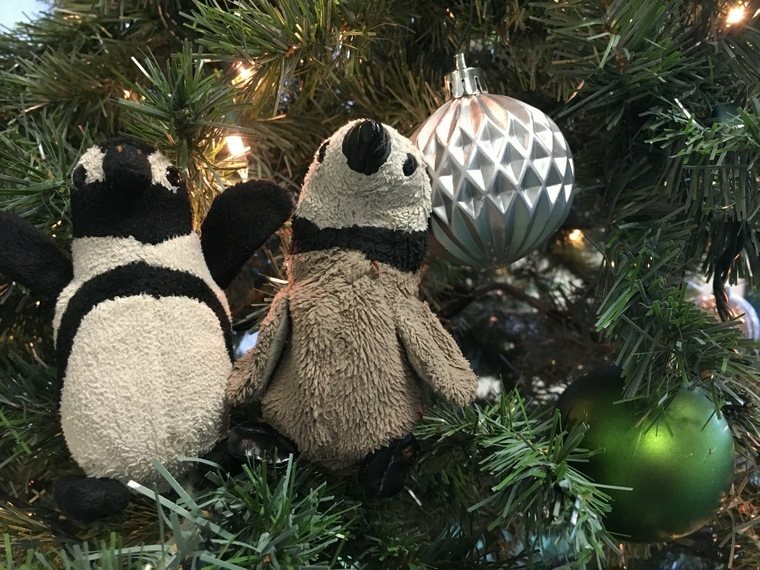 appeared first on Penguin's Wanderlust. 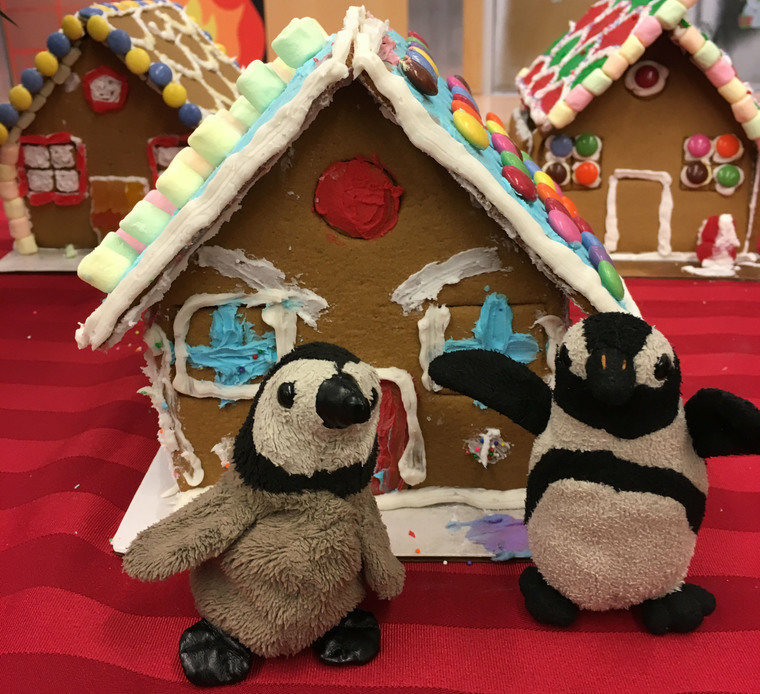 If you are the owner of Penguin's Wanderlust, or someone who enjoys this blog why not upgrade it to a Featured Listing or Permanent Listing?